All Star Video Sports has a few things that we prioritize in our day to day activities, one of those things being giving our clients the best of everything we have to offer. Utilizing our vast amount of video tools, video expertise, and hard work and dedication to finish projects in a timely manner are ways we are able to satisfy our clients. As a company that has accumulated the best video equipment over the 10 years we have been around, and one that shares state of the art equipment with our subsidiary company, DHTV Digital, we have always been able to provide our clients with the newest and most effective video tools out there. Whether we are using a standard HD camera, GoPro cameras and accessories, or advanced drone videography, we are able to offer our customers services that many other sports video companies are not able to provide. Our up to date editing and graphics software allow us to take raw video and make each video project clean and professional, as well as something special for our athletes. All Star has been able to produce 100s of videos for athletes everywhere. With All Star’s years of experience producing videos for athletes all across the country, we are able to produce video projects that cater to each athlete’s specific needs. You need a professionally produced recruiting video? Check. You need an end of the season team highlight video? Check. 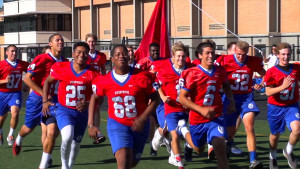 You need a pump up video to get your squad ready for the season? Check. 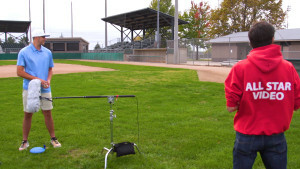 What about a sports business promotional video to advertise your company? We got you there too! We know what it takes to produce sports videos that get our athletes recognized. We pride ourselves in the hard work and dedication we give to our clients every single day. The goal is to provide amateur athletes with the best possible tools and services that we can offer to them each and every day. As a company, we want our clients to receive that athletic scholarship at all costs. The one thing that we can control is giving our all to every project we work towards completing. Whether you are a 5 star athlete or not recognized by anyone, whether your team is nationally known or no one has ever heard of your team, we are there to give you 100% of ourselves. All Star Video Sports is grateful for all of the work we are able to get, and we love making sure all of our clients are completely satisfied with our work.